Okay as you all are well aware, today is NOT Father's Day but guess what, IT SHOULD BE!!! Every day of the week is a good candidate for Father's Day. We just don't have enough time in this world to thank our dad, and thus life would be a lot easier if every day was Father's Day. Not trying to leave all you special moms out, but my post today is not about moms no is it. It is about a good ole DAD. Fathers are a very important part of our lives, and the better the dad, the better the child. Just no way around that. Yes, I see what you are saying, moms can raise pretty good kids too, but as I said before, this post is not about anything but good ole DAD. Dad's are our heroes, our helping hand, our rock to lean on, and quite possibly the first adult that teaches us how to use curse words properly, of course, the latter not intentionally but true none the same. Some things are just bound to happen in life, and if they come from dad they seem to be a little bit better. Dad's have a way of making us smile, and make us strong. Every single second with them should be cherished, and that is why I wish every single day of the year was Father's Day. Sure the holiday getting card companies would be like WTH, but who cares, a good dad is a special person, and they deserve our utmost respect. Take for instance our pop from last night's sunset session. This fellow was a top-notch father. He was on top of things, and really enjoyed making his whole family smile. Thanks my friend for being such a great example for your son. I am positive he will grow up to be an awesome father just like yourself. 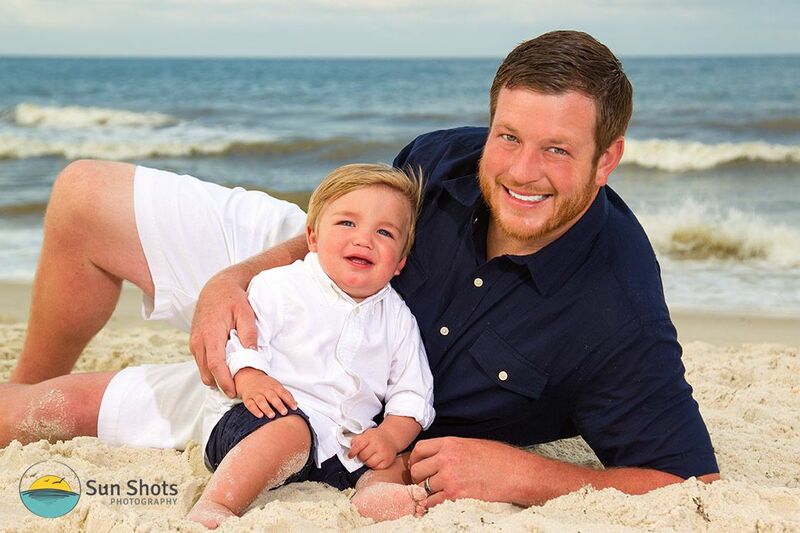 Thanks to you all for taking a little time to do some professional beach pictures, they turned out so well.